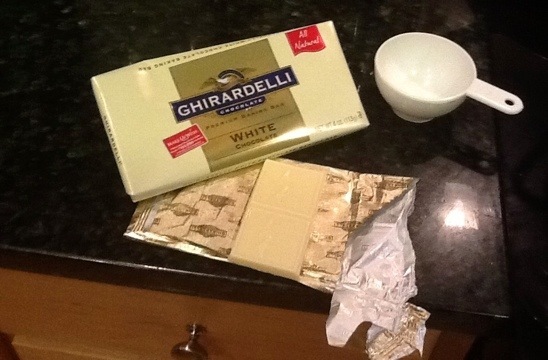 Melt 1/2C of the white chocolate in a double boiler. Combine the melted chocolate with the rest of the ingredients except the unmelted chocolate. Mix in a food processor or with an electric mixer. Chill in the fridge for 2 hours or until firm. I think I got impatient and put it in the freezer for awhile. When the filling is almost ready, melt the rest of the white chocolate in the double boiler. Dip the filling in the chocolate using 2 spoons. Garnish with crushed graham crackers. These are fairly sweet, but not as sweet as I thought they would be. 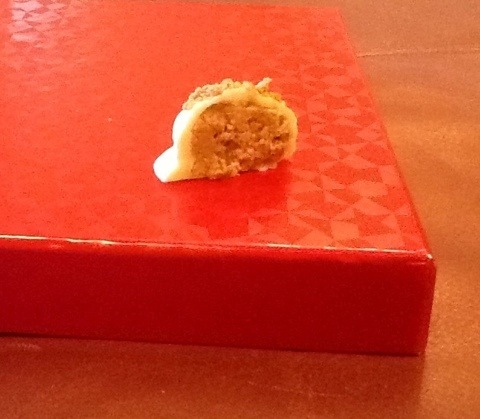 The spice balances the sweetness of the white chocolate. 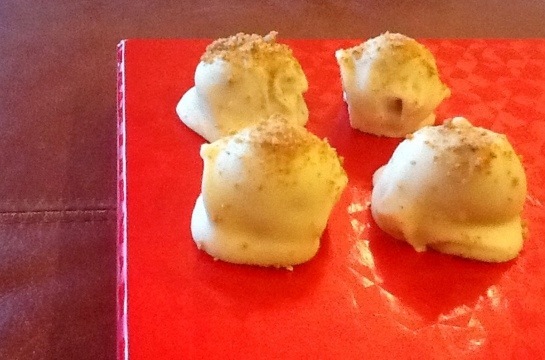 Tom wasn’t sure about this recipe, but these ended up being his favorite truffles. I’d like to try them with candied ginger on top and perhaps use dark chocolate. Special thanks to Tom for eating a truffle when I needed to take a picture of the inside. Yes I think he was rather happy to have an excuse to eat one! 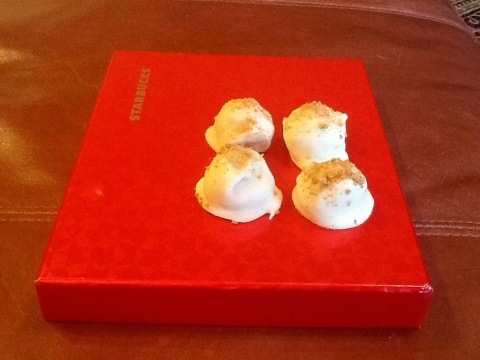 Looks like you’ve been having great fun with the truffles. Do you have to keep them refrigerated? Or, do they disappear fast enough? I’ve been refrigerating them for fear that they would melt, but we really do have quite a few to go through. Do you think they would freeze well?